Many high school graduates, college students, and professionals are choosing to be part of a Gap Year program between school and job placement. 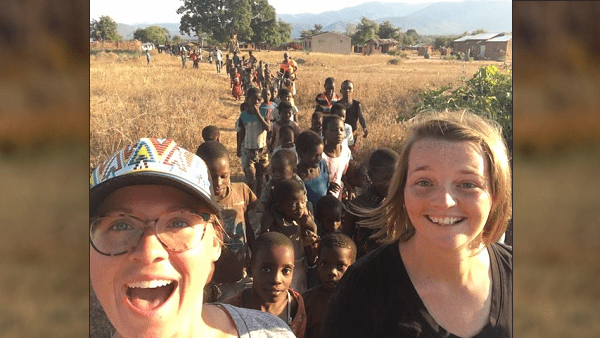 If you’re interested, Teen Missions International offers lots of opportunities to go overseas for one year of missionary service at a Teen Missions base in Africa, Asia, or the Americas. The Gap (One) Year Missionary Internship Program starts with three weeks of training at Teen Missions headquarters in Merritt Island, Florida. You will be trained in basic first aid, culture, motorcycle riding, gardening and agriculture, literacy, teaching children, and Teen Missions policies. After completing your training, you will join a summer team that takes you to the country where you will serve. Once the summer mission is over, you will stay in that country to assist the base coordinators and staff with whatever is needed. You may have the opportunity to work in partnership with AIDS Orphans Rescue Units or with the Motorcycle Sunday School Mission, or at any of Teen Missions bases worldwide. Possible volunteer locations include Cambodia, Malawi, Madagascar, South Africa, Uganda, Honduras, Ecuador, and the USA, subject to availability. Teen Missions reserves the right to place candidates in countries where the need is the greatest. They never place a North American female alone at a base; you would have to go where there are other gap year participants or a North American as staff or interns. All internships will have physical as well as spiritual responsibilities. In addition to working with orphans and street children, you could assist with teaching Sunday school and literacy classes to the children and adults who come each week. The required length of involvement is one year, from June to June. You must be at least 18 years old to participate. If you are 18 or 19 you may be placed as a leader in training. Due to Teen Missions’ no pairing off policy, dating or engaged couples may not be on the same team either as members or leaders. Total involvement expense is: summer mission trip cost + $500 a month over the course of the year. You will also be responsible for passport fees, country visa fees, and any immunizations. Teen Missions will provide you with preprinted prayer cards and letters, and give you DVDs to assist you in your fundraising efforts. Teen Missions is a highly disciplined organization with rules concerning conduct, dress, and Christian testimony. The gap year missionary internship requires rigorous training and you must dedicate a whole year of your life to the program. But if it’s something that interests you, the internship is a great way to develop your skills in leadership, ministry, teamwork, and working with children. The world is crying out for help, and the Lord is seeking men and women to stand in the gap. Will you be one?